San Diego may be known for its beaches, but don’t sleep on the offroading scene. San Diego is home to some incredible offroading trails and locations, with a variety of different and unique spots that will make for a fun and thrilling adventure. San Diego Car Stereo is the premier destination for offroad equipment and suspension lift kits, giving our customers everything they need to tackle any obstacle. After talking to our customers and staff, we have determined the 8 best offroading trails in San Diego. To learn more about our favorite places to go offroading or to get your vehicle ready to go offroading, contact San Diego Car Stereo by calling (858) 569-0777. 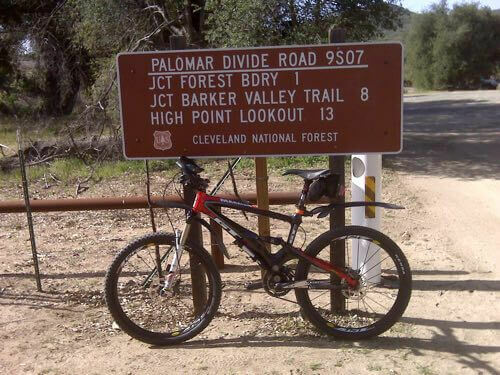 Palomar Divide Road is an incredible journey that will take you to High Point Lookout in Cleveland National Forest. The trail is one of the longest unpaved trails in the county, providing you with a great trail to follow. As you drive, you will be treated to sensational views of Lake Henshaw and Dodge Valley. If you are looking for a trail that combines spectacular views with a low difficulty level, take your vehicle down to Otay Mountain Truck Trail. Nestled in the San Ysidro Mountains near the US and Mexico border, the trail allows you to see Lyons Peak to the northeast, Jamul Mountains to the north, Tecate Peak to the east, and Mexico to the south. Have fun, but beware of a large military and border patrol presence! You are really in for a journey on the Smugglers Cave offroading trail. The trail is fairly easy to drive, but you will be treated to some amazing caves to explore along with some jaw-dropping views. Proctor Valley Road is an epic dirt trail that is over 5 miles, giving the driver mesmerizing views of the beautiful countryside in Jamul. See Mount Miguel, and if you are on the trail in spring you are in for a treat. During spring the trail becomes populated by a variety of different wildflowers. Anderson Truck Trail is quickly becoming one of the best places to go offroading in San Diego. The trail is located in Alpine, offering drivers a winding path through the hills that features multiple views of the El Capitan Reservoir, as well as dozens of side paths to conquer. Get great views of Bear Valley, as well as Cottonwood Valley, by taking Bear Valley Road. While this is not too difficult a trail, it can become dangerous if it rains so avoid Bear Valley Road in bad weather. Cedar Creek Road was recently closed following a particularly bad fire, but the trail is now open again to the public. The trail has a few steep areas that are littered with rocks, but otherwise it is a fairly straightforward and fun offroad trail. Located just southwest of Julian, Boulder Creek Road offers 13 miles of unpaved glory to explore. While the trail can look daunting, it is actually quite safe and should be fairly easy to traverse. San Diego Car Stereo can get your car or truck ready for any offroading trail in San Diego. We offer a variety of different lift kits at affordable prices, getting your vehicle prepared for the journey to come. If you are interested in learning more about offroading in San Diego, contact us today by calling (858) 569-0777.